Cultivation of the heart and sincere work ethic. 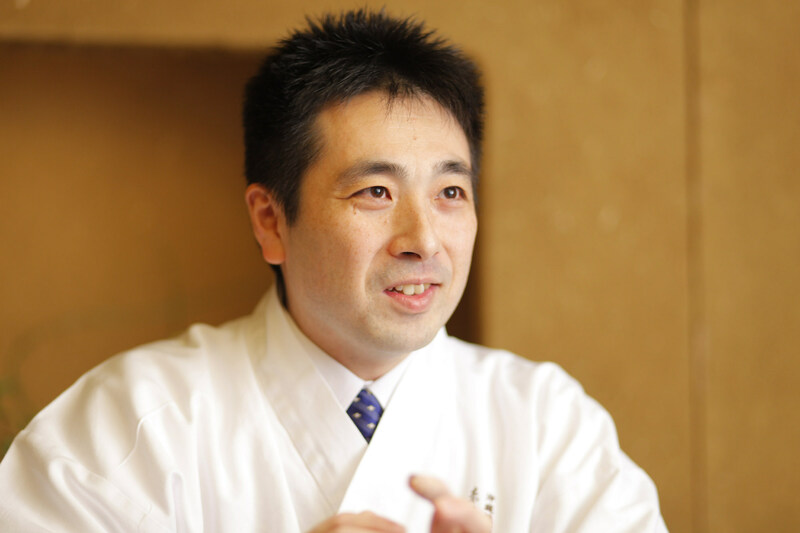 Accumulated experience at diverse restaurants and became the position of Head Chef of Okinawa Kaiseki cuisine. Tracing the history of the Ryukyu Kingdom, and possessing knowledge of both Okinawan ingredients and Japanese cooking techniques, Mr. Naoki Tanaka pursues a new world of Okinawa Kaiseki cuisine at his own restaurant Akasaka Rantei that will delight the palates of modern customers. 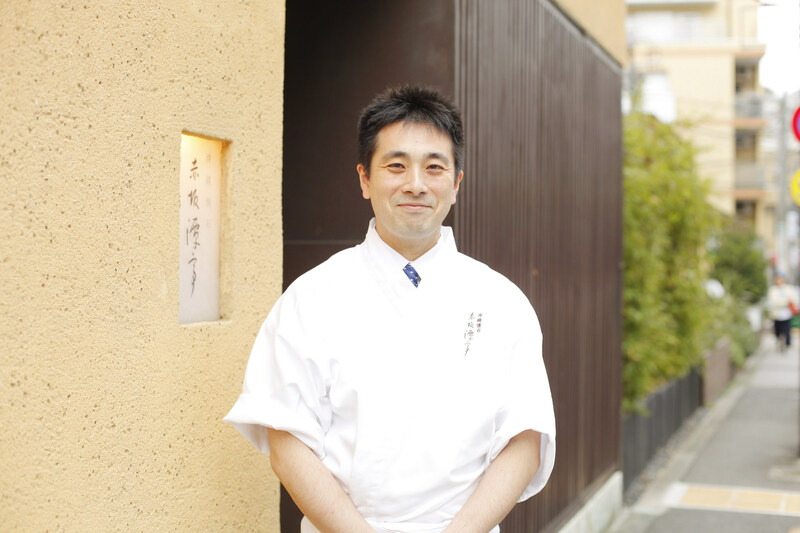 Mr. Tanaka became Head Chef in 2011. Starting the following year, for five years, the restaurant was awarded Michelin stars, and its reputation steadily grew. 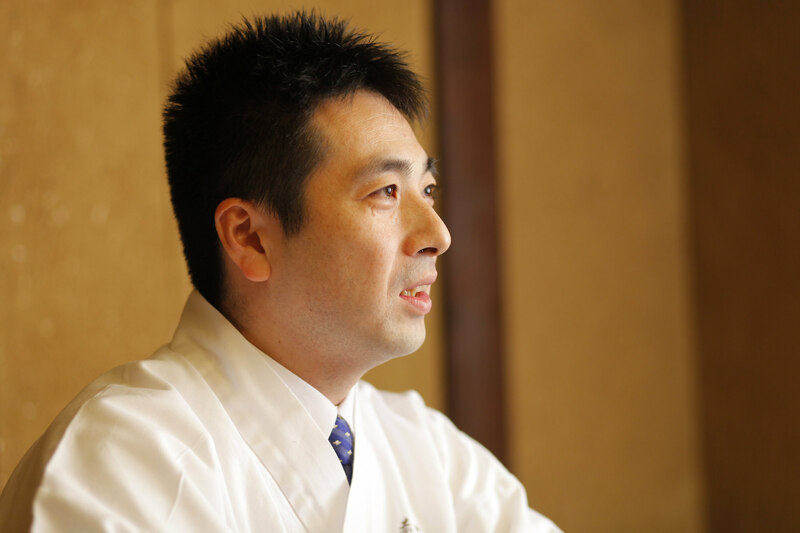 Mr. Tanaka did not show off his apprenticeship at a famous restaurant, and the result of sincere work ethic practiced at a diverse range of restaurants led to his current position. Point1. A training period that is deeply impressed by his teacher’s, Mr. Hiromitsu Nozaki’s, cooking skills and filled with valuable experience. Point2. A chance encounter with Okinawa dishes. Ancient dishes recreated with modern Japanese cooking techniques. Point3. Most important thing is cultivation of the heart. The state of one's heart is reflected in their cooking. His journey on the chef’s path began when he entered a culinary vocational school. At the time, due to influences such as the cooking show Iron Chef, professional chefs were just starting to enter the limelight. It was only natural that he would want to work at a famous restaurant. But that’s when he discovered the harshness of reality. Originally, I loved archaeology, and I wanted to study it in a university. I wanted to be an Egyptian archaeologist like Sakuji Yoshimura. Yet, it was way too difficult for me to get in an university and I had to quit my dream. I was not interested in other majors at all, so I kept studying to get in the course. But eventually, in a family meeting, my father said “If you can’t get into a university, then you should start thinking about getting a job” and that’s when I first seriously start thinking about my life. So I changed my mind to become a chef, and entered a vocational school. You made the big decision! Did you like cooking? Because my parents both worked, I was a big helper since I was a very little. I loved to cook and eat on my own. I believed that my interest would continue as a profession. At the time, I really liked cooking shows like Iron Chef, and it attracts me to become a chef. Many people who fell in love with cooking because of Iron Chef. Did you want to work under a famous chef? I definitely felt that way. Maybe this was because I gave up going to university, I was really eager to become a first-class chef. Like all professions, if you get into a good school, you can take good classes and then work a good company. Likewise, in the world of cooking, I wanted to work a top restaurant, where I could experience quality ingredients and absorb good techniques. Yet, it wasn’t so easy. The counsellor at my school suggested lots of famous restaurants with all live-in positions or for low salaries, and I just didn’t like them. Looking back, I think it is obvious that I had to accept those condition as training, but I could not make my decision. So, even after graduated from the school, I still worked a local little restaurant where I did part-time job when I was a student. After graduated from school, he began his training at a little restaurant in Yokohama, which was introduced by an acquaintance of his parents. The owner, who worked at a restaurant for a long time, managed to become independent and have his own restaurant. 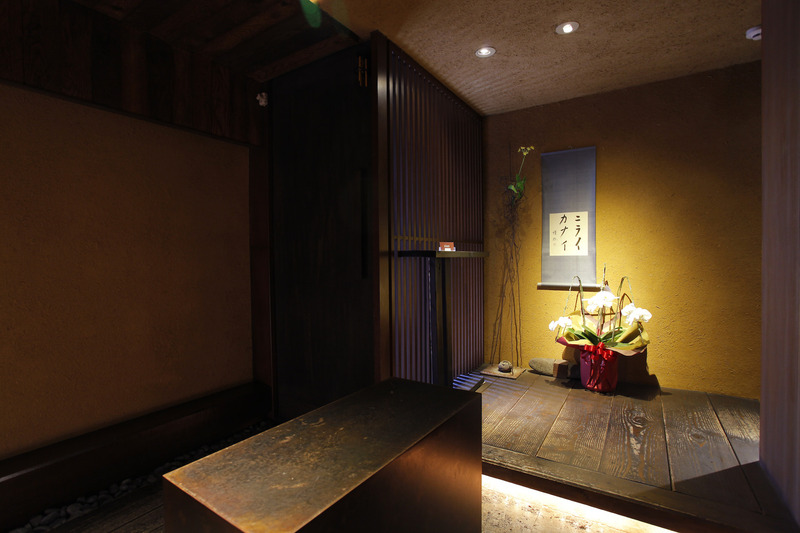 The owner taught him how a chef should gain practices and the common sense of the Japanese culinary world. Soon, Mr. Tanaka read a cooking book by Hiromitsu Nozaki, who worked “Waketokuyama” at Nishi Azabu , and Mr. Tanaka had strong desire to learn from him. Why were you attracted to Mr. Nozaki’s cooking? I do not know what to say… I saw the pictures of his dishes, and I was just moved. It’s difficult to put into words, but I felt a unique “warmth” from his dishes. Unable to contain myself, I visited his restaurant in Nishi Azabu. When I saw him, I felt something different and taught “This is it!”. Of course, he was already famous, and there were lots of people like me who wanted to study under him. So here I am, it was lots of competition. But I asked him again and again to take me on as a student. I think I made him trouble. But it was worth it, because he told me “I can’t take you on now, but when a position opens up, I will let you know.” And about one year later, when I was 22, I started working at that restaurant. So you got your dream job. Did you then work under Mr. Nozaki for a while? Actually, no, not quite. In my case, I was like a rashness of youth, and I really went in and out of jobs. After a while at the restaurant, I got sick and had to go a hospital. I was away from work for a long time, which made them a lot of trouble, and in my shame, I quit the job. After I leave, I went back to my parent’s house in Yokohama, and I asked if there is any space I can work to my mother’s friend’s who had their own fusion cuisine Izakaya. Then, I got a part-time work there. The owner was also originally a chef of Japanese food, but he was also interested in fusion cuisine and having a successful business. I worked there for about one year, and then one of the regular customers offers me: “I want to open a similar restaurant. Would you be interested in working as the head chef?” and I got in on the launch of a new business. So in your mid-twenties, you were already working as a head chef. It sounds great if you say it that way, but I think it was a little early for me. Gradually, I began to struggle to come up with dishes. I realized how poor my foundations were, and I worried that if I continued this way, I would run into even more trouble. In the beginning, I was just happy to be able to cook. It was self-satisfaction. But when I realized that I needed more study, the way I looked at things changed. Looking back, I think it was good experience, but at the time, it was painful too. In the middle of my desperation, Mr. Nozaki happened to get in touch with me again, saying “We’re opening a new restaurant in a department store in Shinjuku, so can you help us?” He remembered that I had previously quit due to illness, and he was care about me. Of course, I immediately took the offer. What a perfect timing. It was good for you to build up your foundations too. That’s right. I worked for Mr. Nozaki for a few years, and after that, I worked for about two years at Kurayamizaka Miyashita in the Maru Building outside Tokyo Station. It was a big place, open night and day, with space for about 80 customers and 10 chefs. It was my first time working in a place like that, and it was good experience. After that, Mr. Nozaki contact me again, and I started working at Tokuyama, a place right next to and belonging to the same group as Waketokuyama. This restaurant was focused on providing single dishes over the counter, and you often had to improvise. It was a job that required you to think on your feet, and I learned a lot. So even when you quit, they contacted you again and again. They must have had high hope for you. That being said, didn’t you hesitate about going back? You might have had to work under a previous colleague. Well, I did a little. But for myself, I felt that I need the courage to return. Actually, I did have a case of working under someone younger than me. But it’s just a question of whether you can put away your feelings and listen to orders. Especially at a restaurant like Tokuyama, there are lots of passionate young people who want to learn. I started there at 22, and that was quite a late start. Some are middle school graduate who started training from the age of 15, and had a huge lead in experience. To catch up and overtake them, all your can do is keep putting in effort. Every time my training place changed, I had to start from zero, and learn “When in Roma, do as the Romans do.” During my training period, I just tried to obediently absorb whatever I was told, and not hold onto any kind of weird pride. Sometimes, depending on the person, I got some impression that they hated me as a rival. But that’s one thing, and work is another. Absorb the good one, and consider the bad as examples of what to avoid. In that way, I accumulated experiences and knowledges.